Ever notice how when things are going along pretty well, no one wants to make a massive change? Or that everyone just sort of takes 'the good times' for granted and things will just keep going along as well as they have always been? Take Duke basketball for instance. 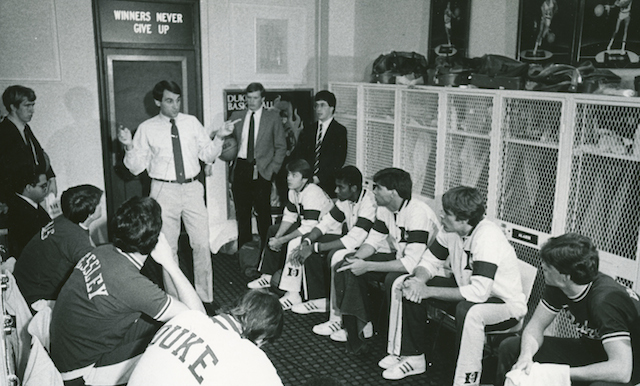 For the past 36 years, the Duke basketball program under Coach K has pretty much operated on all cylinders, winning 5 national titles, racking up 970 victories and generally has been in the national conversation every year as either the favorite or one of the favorites to win it all. Duke fans and foes alike have gotten so used to all that winning that they just accept it now as a matter of course and fact of life. You never hear anyone suggest Coach K should be 'fired', even when they have lost in the first round of the NCAA Tournament 2 out of the last 5 years, except maybe every other coach in the ACC who is tired of running up against him every year. But you know when Duke fans really did want to fire Coach K? 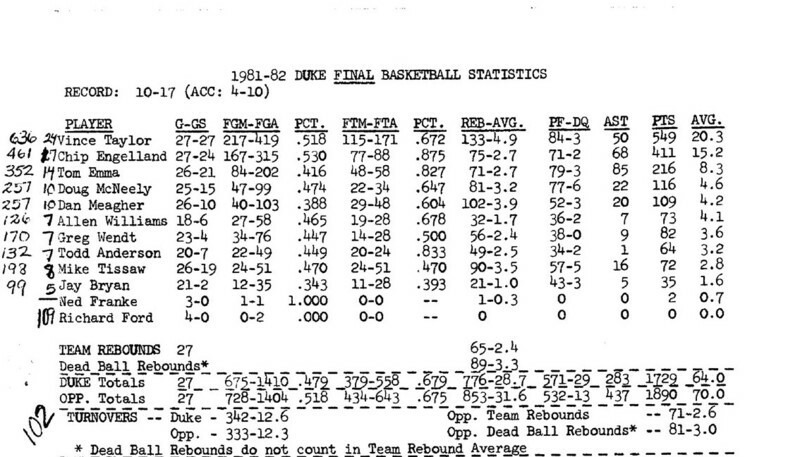 In 1981-82 and 1982-83 as he compiled 10-17 and 11-17 records which were worse than 3 of his 5 seasons previously at Army. 'He can't use man-to-man all the time!' you heard people scream. 'This motion offense is idiotic!' you heard others say. 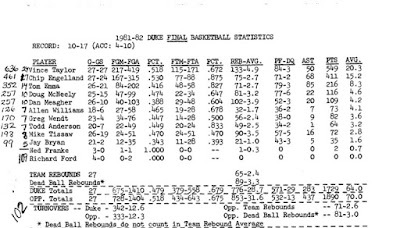 We can't really print what people were saying after Duke lost at Cameron to lowly Wagner College of New York City on January 5, 1983 before only 5,500 fed-up fans at Cameron Indoor Stadium. That could have been the night that everyone could have been called 'Cameron Crazies' except they were 'crazy' with anger, derision and venom. They all wanted Coach K's scalp and for him to be fired and drummed out of Durham the next day. In short, no Duke fan had any confidence on the cold night of January 5, 1983 that Coach K was ever going to get the job done right at Duke University. What is the point of this comparison to Donald Trump and Bernie Sanders? Which brings us to Donald J. Trump and Bernie 'Feel The Bern!' Bernie Sanders. When President Bill Clinton left office on January 20, 2001, the national debt was $5.6 trillion. -Today, it is passing $19.6 trillion and is still on an upwards trajectory with no signs of abatement or flattening-out. 132 million people were employed in non-farm jobs as of 1/20/01. Out of a total population of 282 million. -143 million people are now employed in non-farm jobs today. Out of a total population of 323 million. -The US population has grown by over 40 million people since 2000. And yet only 11 million more people are at work in full-time jobs 16 years later. Why hasn't the employed workforce increased by 20-30 million people instead of just 11 million? -There's your 'discouraged/left-the-workforce' gap that is contributing to the general sense that 'something just ain't right' with the US economy right now and hasn't been for a long time. -Everyone knows people who have tried and tried repeatedly to find permanent work only to get discouraged and stop working or take early retirement or disability when they really would prefer to keep working. -Older people are working longer and not retiring, mainly because they have to keep working as a result of the Great Recession of 2008-2010 when a lot of retirement money was wiped out. A large number of the people who have left the workforce since 2000 can be attributed to Boomers retiring but that leaves millions of people who want to find work unable to find a job in The Obama Economy. The Immigration System of America Was a Mess in 2000. -President George Bush 43 actually allowed, and in many ways, encouraged, millions of illegal immigrants to enter the United States through the borders of Texas in large part because many in the American business and agricultural industries wanted a large source of cheap labor since they were finding it ever more difficult to find workers for their often-times backbreaking, hot and sometimes dangerous jobs. -Anywhere from 11 million to 30 million illegal immigrants were allowed to cross into the United States since 2000 depending on what estimates you can find. -No substantive changes, improvements, reforms have been made legislatively to correct our immigration system. 9/11 caused the consolidation of the Immigration and Naturalization Service (INS) into Homeland Security but the flood of illegal undocumented aliens continues to this day. -Overall health care costs were growing at close to double-digit rates for much of the previous 20 years. 35-40 million people were uninsured. Medicaid and Medicare represented about 20% of the federal budget. -Medicaid and Medicare now make up over 25% of the federal budget. The ACA exchanges are crumbling across the nation in all states. 25-30 million people are still left uninsured. 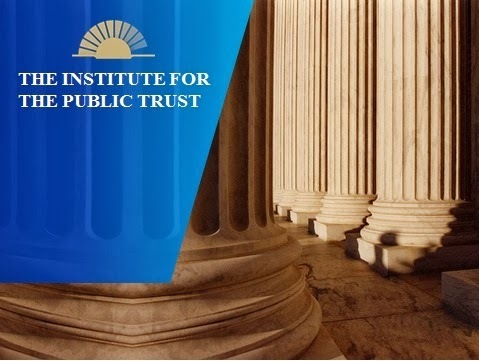 The private insurance markets have been disrupted and/or destroyed in many states when it comes to delivering insurance coverage to individuals or companies. And we have an additional $1 trillion or more added to the federal debt that can be solely attributed to the passage of the ACA in 2010. 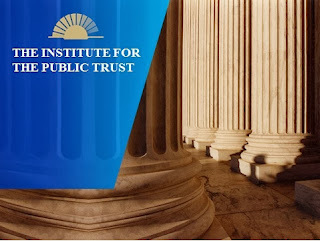 'What significant public policy issue that affects us all has gotten appreciably better due to the actions of our elected President working in conjunction with our elected representatives in Congress and the US Senate since 2000? According to most people who respond to surveys where 65-75%+ say 'America is on the wrong track', the answer is an emphatic 'NONE!'. Which is why we are seeing the extraordinary rise of Donald Trump to be the presumptive Republican nominee for the White House this fall and the unbelievably durable campaign of Socialist Bernie Sanders who is making Hillary Clinton's path to her supposed coronation not a cakewalk by any means. 'I have had enough. Elected politicians have not gotten the job done. They have not gotten even one thing done that I care about: jobs, economic growth and higher wages foremost among them. I am sick of them all. So I am voting for the most outside-of-all-outsiders to see if they can do something whereas we have 16 years of empirical proof that established politicians do not know what they are doing and simply can not get the job done for me or the American people'. One conjecture might be that had the Republican President George Bush 43 been more deficit-conscious during his term with GOP control of the House and Senate from 2001-2007 and not fought the war in Iraq but continued the war on Al Qaeda and the Taliban in Afghanistan to its conclusion until both were annihilated, the Republicans today might be viewed by a majority of voters as having done 'the right thing' when given the chance to lead. Or had Bush 43 cut any sort of immigration, budget or health care deal when Nancy Pelosi was Speaker of the House from 2007-2009, perhaps the voters would have given experienced politicians such as George Bush's brother, Jeb and others more of their support this time around in 2016. Or had President Obama worked with the Republican minority in Congress from 2009-2011 to cut a deal on restraining spending; true health care reform or immigration, perhaps voters would be rushing to surround Hillary Clinton and ask her to keep doing 'more of the same' this time around instead of cheering on Socialist Bernie Sanders which is a protest candidacy against the status quo if there ever was one. Or maybe if President Obama had worked with the Republican majorities in the House and then the US Senate from 2011-present to cut a bipartisan deal, any deal!, on anything of any consequence in Washington, perhaps the American electorate would not have been so enamored with a reality star, commercial real estate mogul that he has completely sucked the oxygen out of the political atmosphere for the past year. Since none of these have occurred, or even had a snowball's chance in Hades of happening due to the intransigence and political immaturity on both sides of the aisle, the American voter has become enraged much like the Duke fans after that Wagner College loss at Cameron Indoor of all places. Duke Athletic Director Tom Butters responded soon thereafter with a new 5-year contract for Coach K, right when it looked like everyone, and I mean everyone, thought he should be or was going to be fired. The American People are not willing to do that with any experienced politician running for the White House today. This deep and thick animosity towards 'experienced politicians' might soon overcome and envelop Hillary Clinton if the past year is any indication of what is to come this summer and fall. Maybe the politicos on both sides will read the real tea leaves of this election and come to the conclusion that they don't have to win 100% of what they want every time there is a bill in Congress to be debated and passed. The vast majority of the electorate care less about ideological purity and far more about making progress towards solving major problems. People would have been happy with budget, health care and immigration bills that were not 'perfect' but were 'workable' and solved maybe 75% of the problem at any point along the way since 2000. Maybe if a Congress and a President over the last 16 years had accomplished a significant budget deal along the way, our national debt might be $11 trillion instead of approaching $20 trillion which would have taken at least some of the steam out of the anger now fueling the Trump campaign, yes? That would have involved statesmanship, leadership and compromise, in that order. None of which was used in over-abundance or enthusiasm by either side since 2000. By any politician. President, Speaker, Majority Leader or any other Member of Congress or Senate. The vast majority of the American electorate could care less if one side or the other signed some silly pledge or had to cut a deal and make a few compromises along the way to achieve the greater good. They just want something of consequence to be done. Anything. Had our elected officials in Washington done so, it is doubtful that we would have even heard of Donald Trump or Bernie Sanders this past year. Experienced politicians such as Jeb Bush and Scott Walker would have been as welcome on their road to the White House as Coach K is when he drives his Escalade every morning to the parking lot behind Cameron Indoor Stadium.